Steve Gammon, Senior Project Manager at Arlington Construction Services (ACS), is responsible for the start-up, construction management, and closeout of ACS projects. 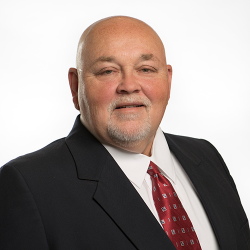 With more than 30 years of multi-family construction experience, Steve has overseen numerous projects across the United States, including multi-family projects ranging from market rate, student housing, assisted living, tax credit, HUD projects, rehabilitations, and mixed-use developments. Prior to joining ACS, Steve was an operating partner of a Florida-based construction company for more than 13 years. In the years following, he served in a variety of roles for other organizations including Vice President and Division Manager, Senior Project Manager, and Superintendent. Steve earned his Bachelor of Science in Construction Engineering Technology from the University of Southern Mississippi. He has held state contractor licenses in Alabama, Arizona, Arkansas, Florida, Georgia, Louisiana, Mississippi, North Carolina, Oklahoma, South Carolina, Tennessee and Texas.